Kawika by The Sunday Manoa is, hands down, one of my favorite songs. Peter Moon’s ‘ukulele intro is the stuff of legend and his lead work at the end of the song stands as one of the finest uke solos ever recorded. 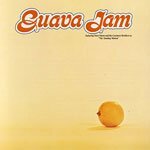 The pure fire and musical brilliance of the group really shines forth on this track from their 1969 debut album, Guava Jam.